When I began this blog, it was to chronicle my sabbatical escapades. Now I am about to take on a whole new home and garden adventure. We are moving and it has become abundantly clear that this is going to be complicated. When most people I know hear that our family is buying a new house, their first question is, “But what about your garden?”. That is a big question, indeed. When I installed my front yard vegetable boxes almost a year ago, we believed we would stay here for years to come. They may be on top of the soil, but they are firmly secured by wooden stakes and filled with nine yards of soil. They are not portable. Putting our house on the market in the middle of winter, however, we simply told the real estate agent that we would take the boxes out before we leave. They would be excluded from the offer, and we would figure out a way to take them out once the warmer weather had arrived. Unfortunately, two days ago our realtor (who we know and love) sent an email telling us that since the house wasn’t selling we may want to consider making some changes to make the house more appealing. Install new carpet, she suggested (we’ve always hated that carpet anyway) and get those boxes off the front lawn. O dear. I inspected the boxes this morning. They have been quietly sitting dormant all winter, with almost no snow to hide them. I poked at the soil with a metal plant marker, expecting that since they are above ground and the winter has been mild, I would find it a little bit soft. The mulch was definitely soft. Flaky, even. Underneath that, however it was rock solid. Good grief. What will I do now? 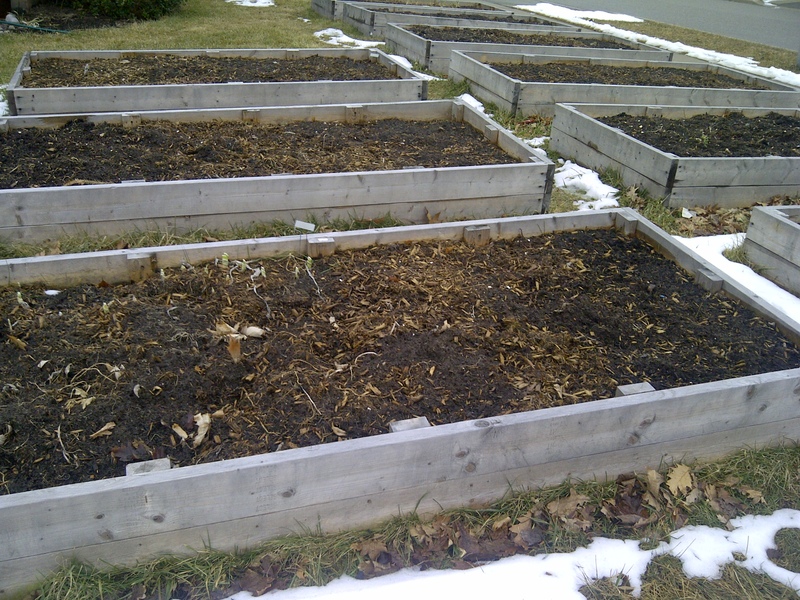 It’s possible to remove the mulch and spread it on gardens elsewhere. But it is not possible to shovel soil that is frozen hard. This weekend calls for above-freezing temperatures, which should help. In the mean time, if you walk by my house you will see me staring out the windows at my beloved garden boxes and wondering what to do next. It seems that those gardens–the ones that have brought me great joy and fed my family so well–have become an obstacle. I suppose this is a sad by-product of our mobile society and throw-away culture. Gone are the days when families stayed put, changing their houses to suit their needs by adding on as the family grew or adapting rooms if an elderly parent came to stay. Postage-sized lots and city bylaws have seen to that. The days when there was one bread-winner, with one career, in one company are gone, too. For many people, migrating city to city or even country to country is a fact of life. Setting down life-long roots–nevermind inheriting them–has become all too rare. While I believe that we are doing the best we can in a complex world, I am not proud to be a part of this transient culture. Today, in fact, I lament it. This is not going to be an easy journey. This entry was posted in Uncategorized and tagged garden, life, seasons, trouble. Bookmark the permalink. Maybe you just need to offer them, free, to a good home – of course, the new owner would need to take them, and the soil, with them. Here’s hoping for warmer temperatures, or even better – a good offer on the house prior to that! This is my hope, Colleen. 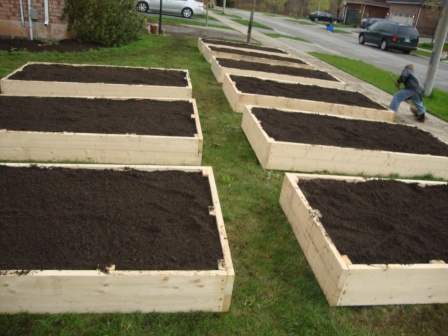 I am working on finding a new home where the boxes (and their dirt) will be well used, but if an avid gardener wanted to buy my house and leave them where they are, that would be perfect! Kristine, I have a mattock, and a childish glee in hitting things with it. If you need frozen soil smitten into little pieces, I can help. Well, if it comes to that I could join you with my pick axe. Just think of the frustration we could deal with!